Rolling Stone’s Italian edition features Pope Francis on the cover of its March issue, which hits newsstands on Thursday March 16, 2017. “The Pope says sensible things, such sensible things,” the magazine said in an editorial explaining why it had dedicated an issue to Francis. The cover photo shows the pontiff giving one of his hallmark thumbs-ups with the title ‘Francis: the Pop Pope’ printed in pink letters beside it. 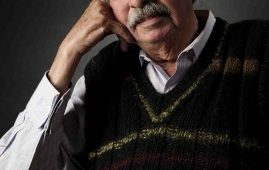 The issue includes an article on the Pope’s upcoming visit to meet young people in deprived areas of Milan and inmates of the northern Italian city’s San Vittore prison on March 25, as well the open-air mass he is due to hold that day in nearby Monza, which 600,000 people are expected to attend. Another highlight of the issue is an interview with Italian film director Ermanno Olmi, whose new movie is a biopic of Milan’s late liberal cardinal Carlo Maria Martini, who like Francis belonged to the Jesuit order. 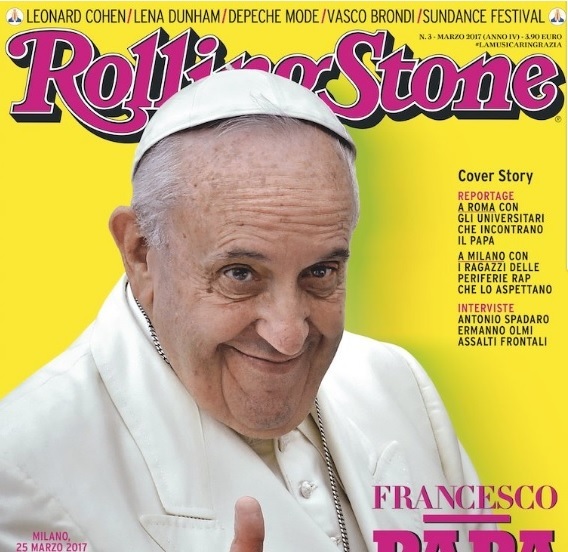 Francis became the first Pope to grace the cover of Rolling Stone in 2014 when he was featured by the magazine’s US edition.